Contact Our Cosmetic Dentist in Woodland Hills - Dan P. Hilton, D.D.S. 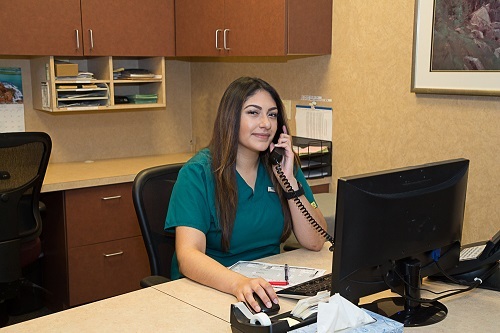 At our Woodland Hills dental practice, we are committed to helping our patients make informed decisions about their healthcare and maintaining dental health. Whether you need general dental care, cosmetic, restorative dentistry, sleep apnea treatment or anything in between, we promise to provide comprehensive treatment planning and excellent personalized care and service. When you contact our office your questions, requests and concerns regarding your care will be heard, understood, and accommodated. We offer complimentary covered parking to all of our patients just adjacent to our dental suite. Please note our parking facility has an automated system requiring a credit card or debit card to gain entrance. We will provide complete validation vouchers for your stay with us which will zero out you card upon departure. This system is in place for your safety and security. Office Hours: For your scheduling convenience our dental treatment office hours are Tuesday through Friday from 8:00am to 5:00pm. We have receptionist hours only on Monday from 9:00am to 4:00pm. 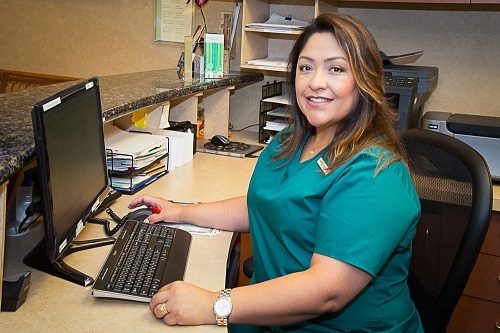 Appointments: For scheduled treatment with the doctor or hygienist, we ask that you give us at least 24 hours notice for any necessary appointment changes, so that we can consistently honor your scheduled appointment time. Short notice appointment changes of less than 24 hours will be charged an appropriate fee. Fee & Payment Policy: We have established three definitive payment options for your dental services: (1) Payment in full at the time of treatment for restorative/cosmetic treatment (5% courtesy for cash/check or 2.5% for credit card); (2) Payment 50% on the first visit and the remaining 50% balance at the final appointment; (3) Payment 50% on the first visit followed by three installment payments(2.5%surcharge on this remaining balance): 1/3 at the final appointment, 1/3 one month after final appointment, 1/3 two months after final appointment. Please note accounts outstanding more than 90 days will bear interest at 1.5% per month or 18% per year. We accept Visa, Mastercard, and American Express. Payment is always due and payable at the time services are rendered unless prior arrangements have been made. For your convenience we also offer financing through Care Credit. Insurance: If you have insurance, please know it is your responsibility to understand your own coverage. We can approximate the benefit you will receive based upon the information you provide us with, however, please be advised each company has a different criteria for payment. Whatever the dollar amount your insurance company does not pay is your responsibility. We ask that you assign your insurance benefit to us and the balance will be arranged for you to pay as listed above. We will assist in every way we can in filing the insurance claim and in handling insurance questions from our office in your behalf. Should your insurance company delay payment for more than sixty (60) days, payment will be due in full by the insured.